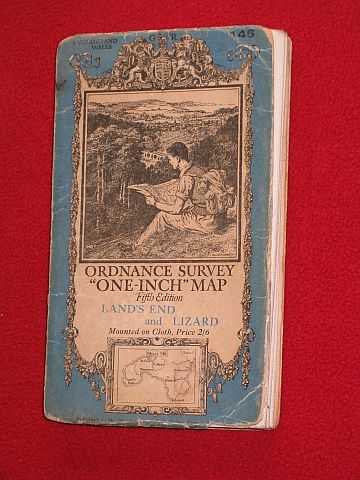 Description: Map Director General, Ordnance Survey, Southampton, 1937. Fifth Edition, Card Covers, Illustrated by: Martin, Ellis. Very Good/N/A.. cloth; Ellis Martin b/w. illust. to front; boundaries revised to 1936; light wear to covers, some darkening of fold lines & small holes, ink signaure & date to top margin also dirt marks to same. Item Type: Map. Illustrator: Martin, Ellis. Quantity Available: 1. Category: Geography & Maps; Great Britain; Britain/UK; Travel & Places. Pictures of this item not already displayed here available upon request. Inventory No: MAP00007.